Makoto Niijima is one of the significant characters of the role-playing video game Persona 5. She is a high school student and the president of the student council in her school. She is also a member of the vigilante group Phantom Thieves of Hearts, who uses their Persona powers to fight evil and bring justice. Makoto is also the strongest female character in the video game because of her combination of combat abilities, healing skills, and intelligence. It makes Makoto a typical role that gamers include in their party members. But Makoto is not just a smart and strong character. She is also one of the attractive female characters in the game. 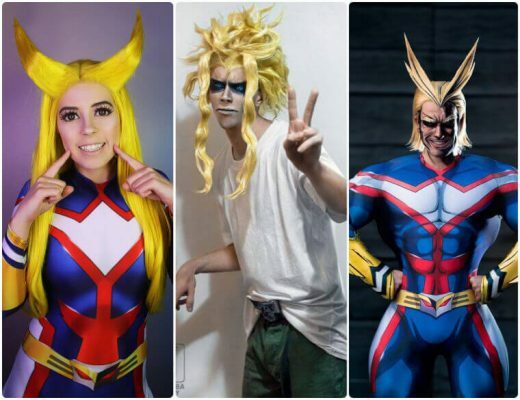 It also makes her a favorite choice for ladies looking to cosplay characters from Persona 5. This article is going to be a Makoto Niijima cosplay guide. Makoto Niijima is one of the critical characters of Persona 5 and a member of the Phantom Thieves of Hearts. She is one of the strongest roles in the game due to her combination of combat skills, intelligence, and healing abilities. 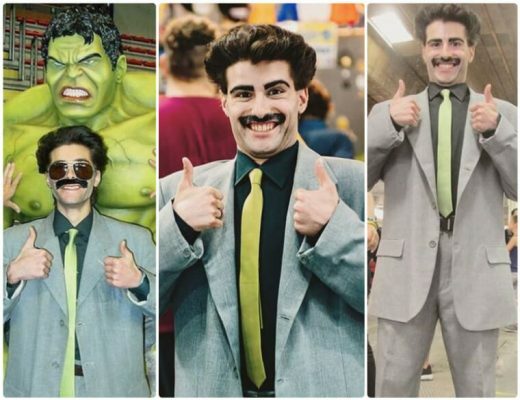 It, together with her attractive appearance, makes her a favorite choice among women to dress up as. 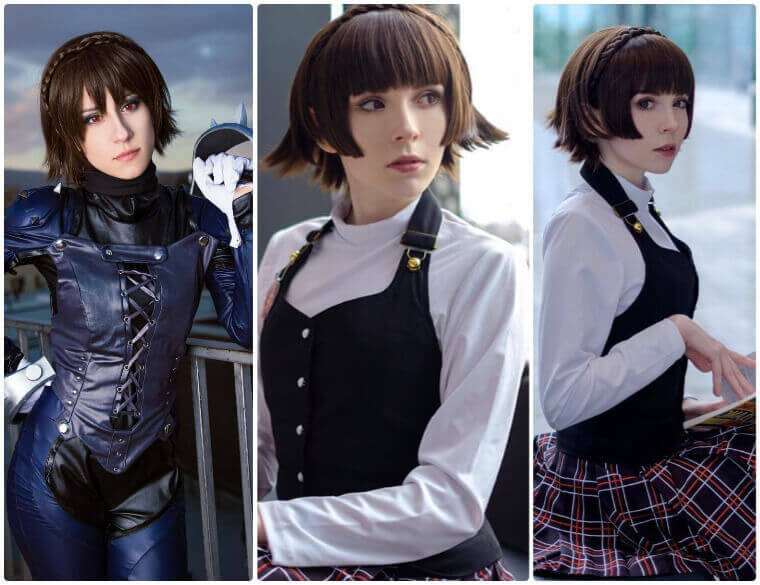 For this Makoto Niijima cosplay guide, the focus will be on her Persona 5 school uniform and Phantom Thieves costume. Her school uniform consists of a black halter vest on top of a white turtleneck long sleeves shirt and a black and red pleated plaid skirt. The set also comes with black leggings and black boots. Her look is completed with a short dark brown wig. 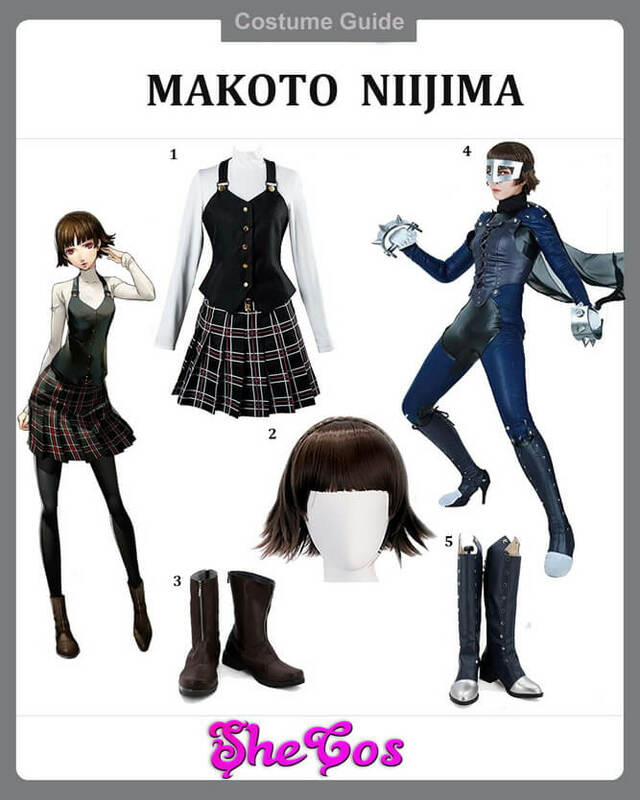 Makoto’s Phantom Thieves costume consists of a dark blue and black skintight suit with white gloves and a long black scarf. 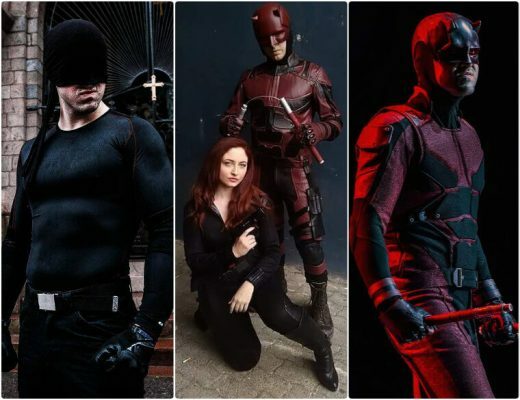 It also comes with a dark grey corset-style leather breastplate, an iron mask, dark blue boots with a metal plate and iron knuckles with spikes. Makoto Niijima is not your typical student council president as she is unpopular with the students of her school. She is viewed as arrogant, selfish, and a control freak. But her unpopularity comes from the fact that she doesn’t do anything about the abuse of the volleyball coach Suguru Kamoshida. The truth, though, is that she really can’t do anything since the school’s principal control’s everything. She started to take more control, especially against injustice, when she became part of the Phantom Thieves of Hearts. This trigger also awakens her Persona Johanna, who makes the appearance of a silver motorcycle. The presence of her Persona is the main reason why her Phantom Thieves looks like the outfit of a motorcycle rider because she is one. 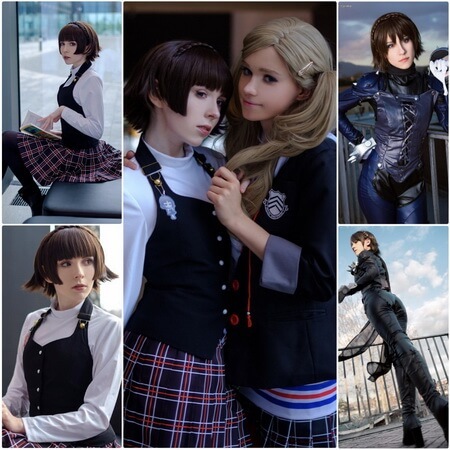 It also makes her one of the coolest looking characters, which you can see in the Makoto Niijima cosplay photos of the role.